The 2018 Nissan Frontier trucks have arrived and provide drivers with the capability that only a pickup can deliver, but in an easy to maneuver package. The 2018 Frontier boasts multiple powertrain choices and can be outfitted for serious work or play. Visit Woody Folsom Nissan of Vidalia, in Vidalia, GA, to test drive the new Frontier mid-size truck. Or, learn more about Nissan's lineup of pickup trucks here on our website, where you can browse our stellar selection of new Nissan Frontier trucks for sale near Reidsville, GA.
What type of work or play do you have in mind for your new pickup truck? Whether it will be your daily driver or weekend warrior, the 2018 Nissan Frontier is up to the task, thanks to its potent 2.5-liter inline 4-cylinder engine that comes standard and generates a capable 152 hp and 171 lb-ft of torque. Drivers will find that the Frontier's base engine is plenty capable of hauling, but the available 4.0-liter V6 engine takes the Frontier's performance capabilities for towing and hauling even higher. The 261-hp V6 develops 281 lb-ft of torque and is one of the most potent engines in the mid-size pickup segment! Whether you select the 2.5-liter inline-four or 4.0-liter V6 in your 2018 Frontier, you also have the choice of two-wheel drive (2WD) or four-wheel drive (4WD) and an automatic or manual transmission. In addition to the many trim levels offered for Nissan's 2018 Frontier, pickup truck buyers also get to choose between the sporty 2-door King Cab and roomy 4-door Crew Cab styles. 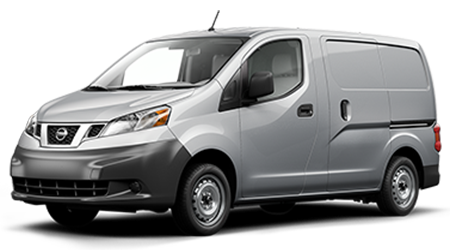 Each cab style, regardless of powertrain gets a full-length boxed ladder frame, forward-facing rear flip-up seats and anti-lock brakes (ABS) as standard equipment. Stylish 18-inch alloy wheels and a range of NISMO® performance parts are available on a Frontier trim levels for a look and performance that will stand out from the pickup truck crowd. The 2018 Frontier can even be outfitted with NissanConnect® with Navigation and Mobile Apps to keep you well-connected while out on the road. Pickup truck buyers near Reidsville, GA are invited to see the 2018 Nissan Frontier pickup truck in action at Woody Folsom Nissan of Vidalia. Our full-service Nissan dealership and service center is conveniently located just minutes from Lyons, GA, nearby in Vidalia. Before you visit us for a test drive, why not apply for auto financing here on our website? Shop now or visit us in Vidalia, GA today!